The American Society of Plastic Surgeons (ASPS), has recently released data regarding the prevalence of plastic surgery within the US. It was revealed that almost a staggering quarter of a million additional procedures were carried out throughout 2018 than in the previous year. It also revealed the tummy tuck was one of the top 5 procedures carried out. Of the 17.7 million aesthetic treatments carried out in 2018, 1.8 million were cosmetic surgery procedures. The figure appears to be increasing steadily year upon year, likely down to both social media pressures and continual improvements with techniques. While cosmetic surgery procedures are steadily on the rise, non-surgical procedures make up the biggest part of the market, with 15.9 million minimally invasive procedures carried out last year alone. Nose reshaping and eyelid surgery procedures were the only ones in the top five to see a decrease, while tummy tuck procedure figures remained strong. In order to achieve optimal results, surgeons typically combine a range of surgical and non-surgical procedures. For example, patients undergoing a facelift, may also be provided with dermal fillers or anti-wrinkle injections to maximise the results. Similarly, patients undergoing a tummy tuck procedure will often undergo a minimally invasive liposuction contouring procedure too. Trends are frequently changing in the cosmetic surgery field; however, tummy tucks do remain one of the most popular procedures. Although linked to a long recovery, it remains the most effective option for achieving a smooth, flat stomach area if the problem relates to sagging, excess skin or lax stomach muscles. During your London tummy tuck consultation with Mr Paul Tulley he will discuss whether an abdominoplasty is the most appropriate procedure for you; call 020 7183 1559 to arrange. What questions should I ask at my tummy tuck consultation? Before undergoing any procedure, it’s crucial you undergo a consultation. This gives you the opportunity to find out more about the procedure, including its risks and complications, as well as determine whether or not it’s the best procedure to fit your needs. The consultation becomes even more important when you’re undergoing a procedure such as the tummy tuck. As it’s a more invasive surgery, you’ll need to ensure it’s not only the right procedure for you, but that you’re also choosing the best surgeon to perform it. There are a lot of questions you’ll want to ask at the tummy tuck consultation. Below, you’ll discover just a few of the most important ones. Tummy tuck consultation questions: am I a suitable candidate? One of the first questions you should ask during your consultation is whether or not you are a suitable candidate for the procedure. A tummy tuck is typically provided to remove excess skin which has resulted from weight loss or pregnancy. It is not the best way to remove additional fat. A good plastic surgeon will be able to tell you whether or not you are an ideal candidate or whether a different procedure would be more beneficial. Tummy tuck consultation questions: what are the risks and complications? Before you go under the knife, it’s really important to determine the risks and complications. The surgeon will be able to talk you through all of the potential risk factors you need to be aware of. If they are reluctant to tell you, or they shrug off the risks and complications, you should opt to use a different surgeon. Tummy tuck consultation questions: what can I expect from the recovery? The recovery of a tummy tuck procedure can be pretty lengthy. It will also vary depending upon each patient. Therefore, to get a good idea of what to expect, you should ask the surgeon to give you a more personalised recovery process. This will help you to make the right preparations before the surgery takes place. Tummy tuck consultation questions: how many tummy tuck procedures have you performed? You’re going to want to know that you’re in good hands, so ask the surgeon how many tummy tuck procedures they have carried out. If it is a relatively low number, they may not have the right level of experience. When you’re undergoing an invasive procedure, it’s important to ensure you’re choosing an experienced and reliable surgeon. These are just some of the questions you should ask during a tummy tuck consultation. Plastic surgeon Mr Paul Tulley will also ensure every aspect of the procedure is discussed in full so you can make an informed decision about whether to proceed with surgery at this stage. 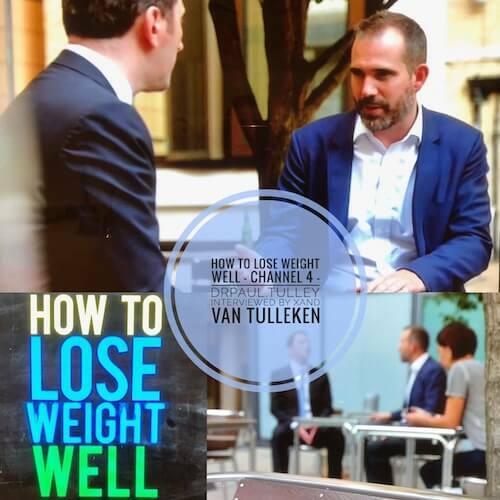 http://www.paultulley.com/wp-content/uploads/2019/03/tummy-tuck-consultation.jpg 350 800 admin http://www.paultulley.com/wp-content/uploads/2018/03/TULLEY-LOGO-Proxima-1.png admin2019-03-19 17:17:492019-03-04 17:25:43What questions should I ask at my tummy tuck consultation? What can I expect during my tummy tuck recovery? If you’re due to undergo a tummy tuck procedure, you’ll want to familiarise yourself with the recovery process. Ensuring you follow the advice and recommendations provided by your surgeon are crucial if you want to get the best results. So, what exactly can you expect during your tummy tuck recovery? It’s important to realise that the post-surgery process for an abdominoplasty will differ between patients. It will typically depend upon factors such as your age, general health, body weight and the type of tummy tuck procedure you undergo. Due to the numerous factors which can impact your tummy tuck recovery, your surgeon will be able to give you the best idea of what you can personally expect during your consultation. It’s understandable you’ll want to get back to normal as soon as possible after a tummy tuck. However, it’s really important to give your body time enough time to heal. Generally speaking, you’ll likely need at least one month to recover from the surgery before you can fully resume normal activities. That is if you have a full tummy tuck procedure. If you have a mini tummy tuck, the recovery time can be shorter as the surgery is less invasive. You’ll want to take around two weeks off work and avoid exercise for the first month after the procedure. What can you expect after the tummy tuck procedure? After having the surgery, your surgeon will provide full recovery instructions you’ll need to follow. This will include information on how to take care of the drain tubes and incisions, as well as what to look out for in terms of infection. You will need somebody to drive you from the hospital, as well as to take care of you for a few days. You will return home with draining tubes which will typically be left in for a few days. Only once they are removed can you have a shower. You’ll also need to wear an abdominal binder, known as a surgical compression garment, for approximately six weeks. The recovery for a tummy tuck can be quite extensive as muscle, fat and skin are removed and repositioned. Therefore, it’s important to find out as much information as you can before undergoing the procedure. The above are just some of the general things you need to know about the tummy tuck recovery process, but your surgeon will be able to give you a more accurate idea of what to expect. http://www.paultulley.com/wp-content/uploads/2019/03/tummy-tuck-recovery.jpg 350 800 admin http://www.paultulley.com/wp-content/uploads/2018/03/TULLEY-LOGO-Proxima-1.png admin2019-03-11 16:47:462019-03-05 17:49:26What can I expect during my tummy tuck recovery? Can I have a mini tummy tuck? Tummy tucks have been a popular procedure for years now, however, they can be very invasive and entail the strengthening of the abdominal muscles, removal of large amounts of tissue, the repositioning of the belly button and a considerable scar. Potential complications and a lengthy recovery are important considerations to bear in mind before you decide to embark on a full abdominoplasty, which is why many patients look to alternatives such as the mini tummy tuck. The mini tummy tuck is a modified version of the full tummy tuck. It includes a smaller incision, usually in the same place as you’d have a C-section incision which means the recovery time is usually much shorter. However, not everyone is a good candidate for a mini tummy tuck. Below, you’ll discover when a mini tummy tuck is recommended. Who is an ideal candidate for a mini tummy tuck? Those who are considered ideal candidates for a mini tummy tuck are typically those who only have localised pockets of fat in the lower abdominal area. You’ll also have tried but failed to have eliminated the fat through diet and exercise. No cosmetic procedure, be it a tummy tuck or liposuction, should be used as a replacement for a proper diet and exercise routine. You will also be suitable for a mini tummy tuck if you have loose skin around the lower abdomen. When should a mini tummy tuck be avoided? Like any procedure, there are times where a mini tummy tuck may not be suitable. If you’re planning on getting pregnant in the not too distant future, for example, it might be best to wait till a later date before having any type of body contouring surgery. If you have excess skin and fat or lax abdominal muscles above the belly button and extending up the whole length of the abdominal wall, then you are better suited for a full tummy tuck. If the skin is quite tight in the abdominal area, you may also be a better candidate for liposuction than a mini tummy tuck. If you are an ideal candidate for a mini tummy tuck, it’s important to do your research before undergoing the procedure. Like a full tummy tuck, the procedure will be carried out under general anaesthetic and maybe just a slightly shorter procedure. The procedure also comes with the same risks, such as scarring, blood clots, issues with wound healing and fat necrosis. Mr Paul Tulley will be able to talk through all of the risks and potential complications during your consultation. A mini tummy tuck may be more preferable in place of a full tummy tuck, but it is important to make sure you’re an ideal candidate before going ahead with the procedure. It’s a good idea to book a consultation with an experienced surgeon to talk through your options and decide upon the best possible treatment choice to suit your circumstances. Call 020 7183 1559 to book a mini tummy tuck consultation. http://www.paultulley.com/wp-content/uploads/2019/02/mini-tummy-tuck.jpg 350 800 admin http://www.paultulley.com/wp-content/uploads/2018/03/TULLEY-LOGO-Proxima-1.png admin2019-02-23 15:48:322019-02-07 15:54:37Can I have a mini tummy tuck? Tummy tuck or lipo: which is the best body contouring procedure for me? If you’re looking to achieve a flat, toned stomach, cosmetic surgery can help. Thousands of people go under the knife each year to eliminate excess pockets of fat which don’t resolve through diet and exercise alone. However, if you want to get the best results, it’s crucial you make sure you’re choosing the right procedure. The two most common procedures carried out to achieve body contouring are a tummy tuck and liposuction. So, how do you know which one is right for you? Below, you’ll discover how to tell which procedure will generate the best results. Tummy tuck or lipo: where do you want to lose fat? A tummy tuck only focuses on the abdomen area, whereas liposuction can be used to eliminate from the flanks, back, hips or thighs where localised pockets of fat are often stored and the skin is typically quite tight. Liposuction can be performed on the abdominal area, but a careful appraisal of skin elasticity and muscle laxness during your consultation is essential to ensure you will be able to achieve the results you’re hoping for. Tummy tuck or lipo: is there a loss of skin elasticity? Unlike other areas of the body, there is often an excess of loose skin and marked muscle laxness in the abdomen, either from ageing, pregnancy or because of weight gain. In those cases, a tummy tuck is the most appropriate cosmetic surgery choice. This is because the procedure focuses on not just eliminating the fat, but it also tightens the skin and muscles in the area too. Liposuction, on the other hand, only eliminates the fat and if you did have liposuction in an area where there is a loss of skin elasticity, you would more than likely end up with sagging skin as a result of the procedure. Tummy tuck or lipo: how much fat do you need to lose? Finally, the amount of fat you’re looking to lose will also determine which procedure is right for you. It’s worth noting that both a tummy tuck and liposuction are not designed to remove large sections of fat. Liposuction in particular, is only used as a contouring procedure, removing small pockets of fat at one time. So, a tummy tuck will typically have more drastic results. Deciding on whether a tummy tuck or lipo is the best procedure for you will depend on a number of factors. During your cosmetic surgery consultation with Mr Paul Tulley, he will perform a comprehensive physical assessment, listen to your concerns and expectations and, from there, can offer you unbiased and expert advice on which procedure – or even a combination of abdominoplasty and liposuction – is best for you. To arrange a body contouring surgery consultation with Mr Tulley, call 020 7183 1559.
http://www.paultulley.com/wp-content/uploads/2019/02/tummy-tuck-or-lipo.jpg 350 800 admin http://www.paultulley.com/wp-content/uploads/2018/03/TULLEY-LOGO-Proxima-1.png admin2019-02-10 15:04:542019-02-07 15:41:49Tummy tuck or lipo: which is the best body contouring procedure for me? Mr Paul Tulley was delighted to be included in the Tatler Beauty and Cosmetic Guide 2019 in conjunction with W1 Knightsbridge. The annual guide brings together the best cosmetic doctors, dermatologists and cosmetic surgeons, praising them for their work in rhinoplasty procedures, facelifts and their cosmetic breast surgery work. Breast augmentation with implants is one of the most common cosmetic procedures carried out throughout the world and it has remained one of the most popular procedures for decades, but once again breast augmentation and breast implant safety has hit the news for their potential risks for patients. The British Association of Aesthetic Plastic Surgeons (BAAPS) has recently provided a statement following the removal of Allergan’s Natrelle implants from the market. As the implants failed to gain the CE mark of approval, surgeons are no longer able to use them until further notice. So, should patients who have these implants be worried about their sudden removal from the market and should it make patients think twice about undergoing breast enlargement? Why have Allergan’s Natrelle breast implants been removed? Allergen Natrelle implants have been removed from the market due to concerns over their textured surface. Over the years, there have been numerous studies conducted to determine the risk between implants with a textured surface and a condition known as Breast Implant Associated Anaplastic Large Cell Lymphoma (BIA-ALCL). Although the condition is rare, affecting approximately 1 in every 24,000 breast implant procedures, measures still need to be taken to monitor textured implants to ensure they meet recommended guidelines. All textured implants are manufactured differently, with some posing more of a risk than others. The Allergen Natrelle implants have been identified as posing a potentially increased risk, which is why the CE mark has been withdrawn. The BAAPS has released a statement following the removal of the Allergen Natrelle implants, claiming patients shouldn’t be too alarmed. The removal of the implants has been done as a precautionary measure until further data is provided by Allergen. The BAAPS has also advised its members not to use these implants until further notice. The smooth implants supplied by Allergen have had their CE mark renewed, meaning they don’t pose any risks. They were also keen to point out that textured implants from other manufacturers aren’t affected. Are breast implants really safe? Although the news that Allergen’s Natrelle implants have been temporarily removed from the market may be concerning to patients, on the whole textured implants are safe to use. There are fewer risks and complications associated with the procedure today than there ever has been. Those thinking of undergoing breast augmentation, should book a consultation with a qualified cosmetic surgeon. They will be able to explain the type of implants they will be using and highlight any risks and complications you need to be aware of before you make an informed decision on whether to go ahead or not. Dr Xand van Tulleken is well known for presenting popular TV programmes with his identical twin brother Dr Chris van Tulleken. The series looks at a number of different types of diets and their effectiveness. In episode 2 of the current series, How to Lose Weight Well, a patient is shown undergoing extensive VASER liposuction with significant fat grafting, to improve and optimise the contours of his trunk and arms. London cosmetic surgeon Mr Paul Tulley was asked to discuss briefly the benefits and risks of VASER. The patient shown on the program underwent extensive VASER (ultrasound assisted) liposuction with fat grafting. This is a more aggressive and much longer procedure than standard tumescent liposuction. It is useful in slim patients who desire a ‘ripped’ gym/muscular/athletic look. However, it carries more risks in terms of visible irregularity (and fat embolism in the case of fat grafting). It should only be performed by surgeons with significant experience of its use, and care must be used in slimmer patients particularly women. For most patients, tumescent liposuction is an effective and safe procedure when performed by an experienced surgeon, and produces very good results. VASER carries the risk in slim women of producing significant irregularities that are very difficult to correct with further surgery, if not performed in the correct manner. Madonna has never been a stranger to controversy and at 60 years old she’s still grabbing the headlines. After videos were released of the singer performing live on stage on New Year’s Eve, it appeared as though the star’s rear had been enhanced. Now, fans are questioning whether Madge could have had bum implants or a Brazilian bum lift to achieve her impressive rear. So, which procedure could the Queen of Pop have undergone to enhance her buttocks? Could Madonna be the latest celeb to undergo bum implants? Looking at the photos, it does appear the unusually shaped bulge on Madonna’s rear is most likely down to a battery pack or sound equipment. However, it’s certainly possible the singer could have undergone a rear enhancing procedure as this is not the first time there’s been speculation about Madonna and changes to the appearance of her rear. Bum enhancement procedures are becoming increasingly popular in the UK and US. Expert London plastic surgeon, Paul Tulley, states: “Insertion of buttock implants is a procedure that has been performed in relatively small numbers in recent years. It involves the insertion of a silicone implant (firmer than a breast implant), into the buttock to improve volume and contour, for patients wanting to improve their buttock shape”. Even though fat transfer procedures are generally safer, they still pose a risk of fat embolisms; a problem which can prove to be deadly. So, while these procedures can enhance the bum when performed by a qualified surgeon, patients do need to be aware of the risks involved. If you are interested in a bum enhancing procedure, it is crucial you book a consultation with an expert plastic surgeon. They will be able to run through all of the risks and complications involved and help you to determine whether it is right for you. What’s the next big thing in cosmetic surgery? Cosmetic surgery procedures have come a long way over the past decade. However, a recent survey conducted by the American Society of Plastic Surgeons has revealed that surgeons are now hungry for further developments. Each year, the demand for cosmetic procedures increases. Over 17.5 million procedures, both surgical and non-surgical, were performed in 2017 in the United States alone. Now, plastic surgeons are keen to know what developments are in the pipeline to help meet the rising demand. So, what could be the next big thing in cosmetic surgery? One of the most exciting developments within the cosmetic surgery industry is the use of AI and augmented reality. These will be able to help surgeons prepare for complex surgeries through imaging and surgery simulation technologies. While imaging is currently available to help patients see how breast implants and facial reconstructive surgery could look, improvements being made will make these systems much more realistic. This will give patients a much better idea of how their results would look. Another potential exciting development is CRISPR Gene editing. This technique, when fully developed, will be able to help with the introduction of new rejection-free transplant techniques, therapeutic skin grafts and help to prevent craniofacial malformations. It will have a huge impact on the plastic surgery sector thanks to its low cost, simplicity and efficiency. Which areas do cosmetic surgeons want to see developments in? According to the latest survey by the American Society of Plastic Surgeons, there are some particular areas surgeons want to see developments in. These include fat grafting, skin tightening and scar management. They also want to see an improvement in training, with certification becoming more crucial in the field. http://www.paultulley.com/wp-content/uploads/2018/12/cosmetic-surgery-trends.jpg 350 800 admin http://www.paultulley.com/wp-content/uploads/2018/03/TULLEY-LOGO-Proxima-1.png admin2018-12-20 17:20:532018-12-01 17:35:38What’s the next big thing in cosmetic surgery?